This Raised Bed is planned to give 3 Batches of Vegetables during one season. The picture above shows the layout of the second batch which is simply Soybeans (also called Edamame Beans) and Zucchini. Before and after these main crops I grow Spinach since we eat loads of Spinach each year. This is one of the easiest Garden Beds in my Garden, with high yield compared to the effort needed. Squash, Spinach and Soybeans are usually rich producers in my Garden so i have high hopes for this Bed. This bed is located in the "Enrichers with a twist" section in my garden. These sections are based on Beans and Peas to enrich the soil for next 3 years, all in line with the Crop Rotation Plan. That's why Soybeans are the foundation of the plan for this Garden Bed. Beans and Zucchini traditionally thrive together, so I will add a few Zucchini Plants to this bed. Since I add Zucchini i need to keep up with adding manure for nutrients. I will grow Spinach in this bed before and after growing Three Sisters. I will probably choose Spinach simply because it's resistant to frosty nights of early spring and late autumn, and since we eat a lot of it. 1c = This bed is in the "Enrichers with a twist" quarter in my Crop Rotation Plan. The Garden Bed is now empty, and ready for Third Batch. Move Autumn Spinach Outdoors. Plant in rows. I started Spinach Seeds in this Raised Bed today. It's mid January and we have a few centimeters of snow and everything is frozen. For more detailed instructions, please see this post from another Raised Bed where I did exactly the same procedure as in this Raised Bed: Winter Sowing Spinach in a Raised Bed. Big difference today vs. when this Raised Bed was started in January. Spinach is sprouting under it's plastic cover. Not that much indoors. Just one tray of Beetroot and some Swiss Chard (second batches, will pick the first batch soon), one tray of corn plants and one mixed with some pumpkin and other stuff. Will start all over again in august, for third bach to be able to move outdoors in september. Quick update from the Zucchini bed. 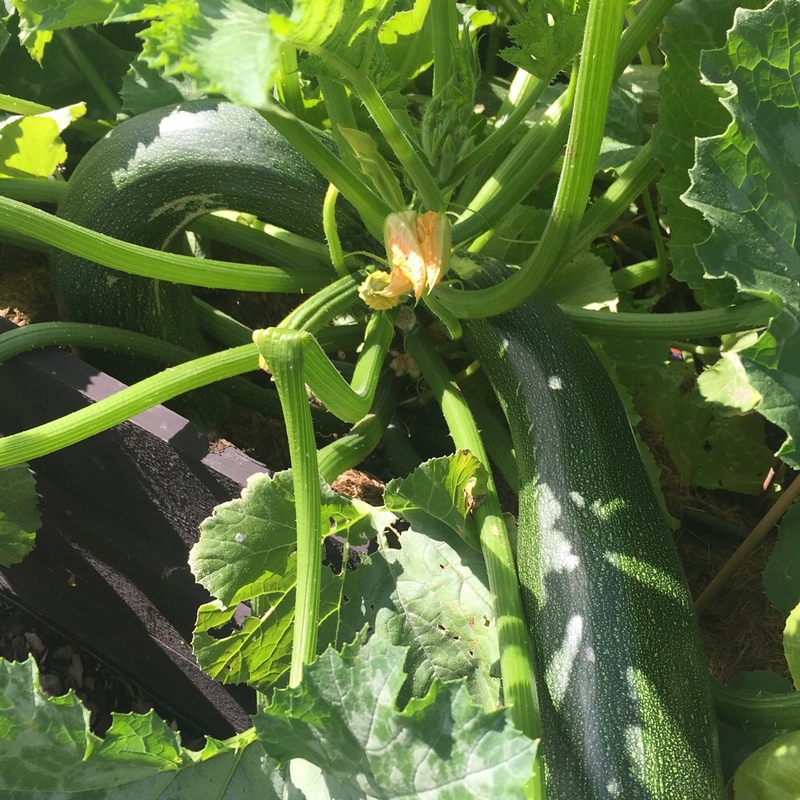 We're now harvesting zucchini.. 3 plants are more than enough for us! Looks amazing! Can't wait for fall too roll around so I can have fresh zucchini! 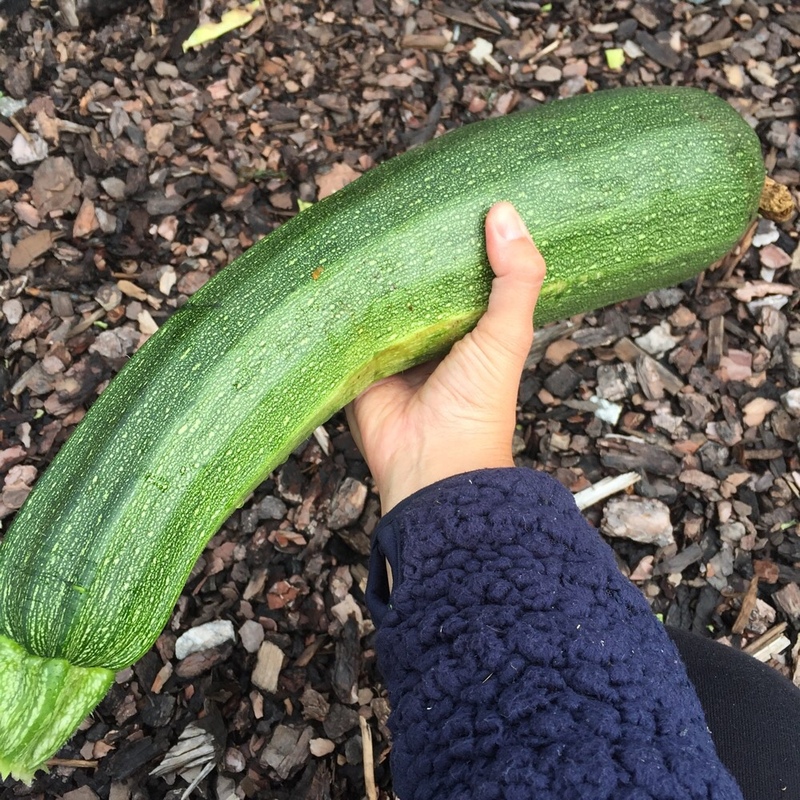 I only have 3 zucchini plants this season - but they are giving us more than we can eat!